Support Revolution was founded in 2012 by ERP specialists with over 20 years of Oracle & SAP experience through our sister company, PDG Consulting. 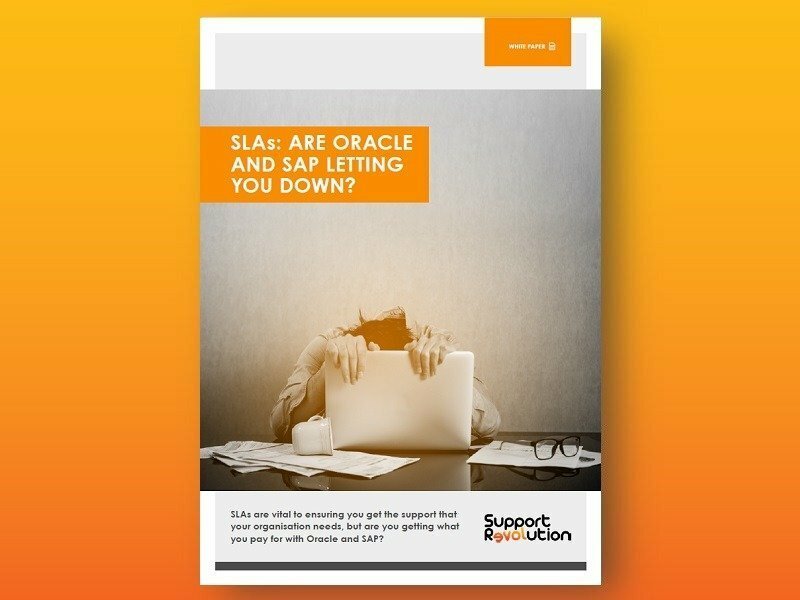 The management team saw an opportunity to offer third-party support to both Oracle and SAP users that would be both superior, and more cost efficient to customers than the support they were receiving. With previous experience working with Oracle and SAP customers, it was soon realised that many organisations are eager to find faster, smarter and cheaper ways to maintain their Oracle and SAP software. Founded sister company (Oracle & SAP partner). Launched Support Revolution to offer Oracle and SAP customers freedom of choice and massive cost savings on software support & maintenance. Support Revolution services available on G-Cloud, Cabinet Office and Office of Government Procurement (Ireland) frameworks for customers to procure without going through an extended tender process. Support Revolution launch Cloud offering for third-party support customers. Support Revolution signs well-known global manufacturing client.